Mississippi Valley Roofing has been operating in the St. Louis area for over 50 years. 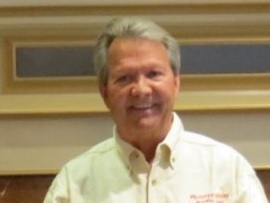 Hank Darabcsek is the owner of Mississippi Valley Roofing and has been in business for 50 years. 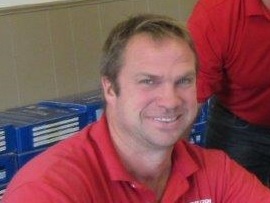 He started roofing when he was 20 years old and operated as Hank's Roofing Company for 7 years. 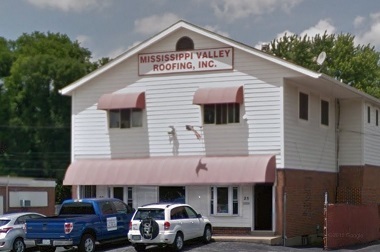 In 1972, he incorporated and 'became' Mississippi Valley Roofing, Inc. Although Hank is feigning retirement, he is the face of Mississippi Valley Roofing and continues to check jobs and work in the office a couple days a week. Over the years, the company has employed many members of his family as shown in the MVR Team introductions below. Mississippi Valley Roofing is truly a family business and takes its customers' satisfaction very personally. MVR uses only the most experienced and professional installers. Our installation teams are highly skilled and highly motivated. Our goal for every roof is optimum durability and beauty. Projects are checked regularly to ensure that they are completed in a timely and economical manner. 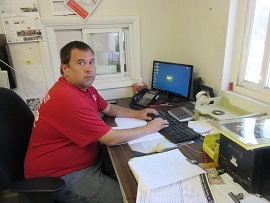 Part of the roofing process involves working with our office staff. 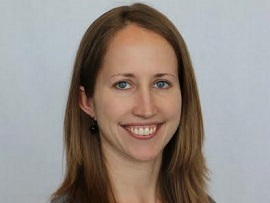 Our office staff is very knowledgeable and helpful. We are here to make the roofing process as smooth as possible. We take an active role in each and every project and work hard to ensure you are happy with our services. MVR uses only the highest quality products from the top suppliers to ensure that you get the best possible value and performance from your purchase. We are here to offer advice from our years of experience to make sure your roof compliments the exterior of your house. Finding the right product is critical to achieving the desired look. We will allow you to choose from a wide array of samples at our office. 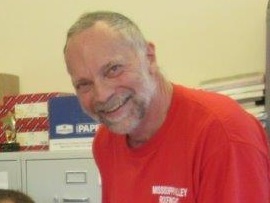 Hank started MVR over 50 years ago and remains as commited today as the day the company was founded. Hank's oldest son, Brent, runs the office and spends most of his day talking to customers, organizing crews and working up estimates. Brent has worked for MVR for almost 30 years. Hank's youngest son, Henry, assists at the office as well as runs estimates, checks jobs and meets with customers at their homes. He has worked for MVR for 16 years. 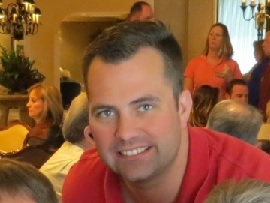 Sean, although not a Darabcsek, has become like family as he has been a loyal employee of MVR for 15 years. He, too, assists in the office and meets with customers. 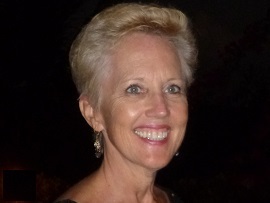 Debbie has been working at MVR for 15 years and is the lady behind the scene, answering the phone, entering information into computers and printing up all mailings, among many other technical tasks. .
Mark Youngberg is relatively new to the company but has added a nice balance to the office. He answers calls, files and orders materials. He has worked for MVR for 8 years. 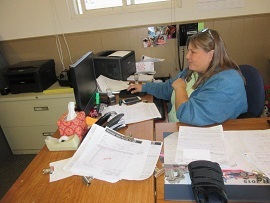 Hank's wife, Vicki, orders office supplies and fills in at the office when needed. Hank's daughter, Rose, also helps out in the summers.